Students will recognise the centrality of ‘country’ in shaping Australia’s Aboriginal and Torres Strait Islander peoples’ identities and investigate how British colonisation of Australia affected the lives of Aboriginal and Torres Strait Islander peoples. Students will discuss and anlayse how the film clip presents Indigenous culture and other portrayals of Aborigines in written and media forms. This video clip is taken from a film made in 1966. What other documentary films or TV programs have you seen depicting traditional Aboriginal life? Is there any evidence of bias in this or other depictions of Aboriginal life you have viewed or read about? What are the central aspects of Australian indigenous identity? To what extent do they differ from non-indigenous Australian culture? How can the two be reconciled as being the identity of an Australian citizen? Go to Aboriginal Studies WWW Virtual Library for information about Aboriginal Culture and historical perspectives. 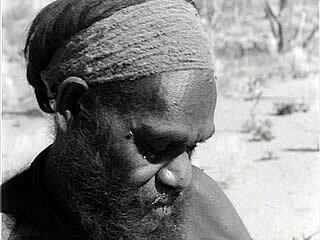 Go to the module Aboriginal People Make a Canoe and Hunt a Turtle for another archive Film Australia clip depicting Aboriginal traditional lifestyle. Go to the module An Outback Policeman’s Life for another Film Australia depiction of an Aboriginal living and working with other Australians in the 1950’s.